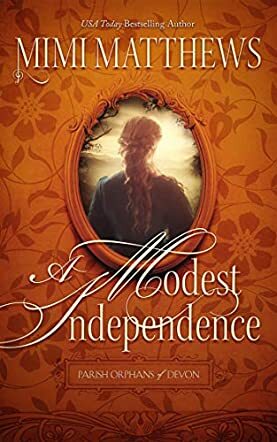 A Modest Independence is a work of both romantic and historical fiction, penned by author Mimi Matthews. This book forms the second instalment of the Parish Orphans of Devon series, setting the tale in the Victorian countryside of the south of England in 1860. In the time of the British Empire, Jenny Holloway is granted the modest independence of the novel’s title, and she wants to use it to escape England and see what the rest of the world has to offer. Tom Finchley, a legal mind by trade, has already had enough drama in his life, and seeks a simple woman to settle down with. When he meets Jenny, all of that goes out of the window, and so begins an epic adventure of empire and experience. For fans of sweeping romances with exotic vistas and traditional values, the work of author Mimi Matthews will not disappoint you. Jenny Holloway is a powerful female heroine that Jane Austen would be proud of, setting off with an inquisitive mind and a superb sense of exploration now that she has the freedom to do so. I almost didn’t want her to end up with Tom and have that freedom restricted again, but the way that this novel deals with such compromises makes for excellent reading, offering a unique sense of equality that wasn’t always true of this time in history. Overall, A Modest Independence has so many qualities to love and comes highly recommended for fans of optimistic and adventurous historical romances. A very excellent and entertaining read.